We can help you with Graphic Design, Website Design, Website Development, Website Hosting and Internet Marketing. Early websites were designed to be an introduction to your business, a place where potential customers could find your contact details and get a brief idea about your products and services. Early websites were slow, with NO focus on User Experience. Pictures were often poor, and the text looked dull and old fashioned. But nobody minded back then. Constantly evolving and embracing the newest technology, today’s websites face many demands. Customers are fickle and will abandon your site if it’s slow to load, or they don’t like the colours. And it’s not just the customers you have to please! Major search engines, like Google, have a huge influence on buyer behaviour. Websites must not only look amazing, but must contain high quality content to pass the Google test! Fail to please and your ranking will be affected. A good website is like an iceberg. What you see is just the tip. However good it looks, it’s what’s underneath – or behind – that will ensure longevity and success. 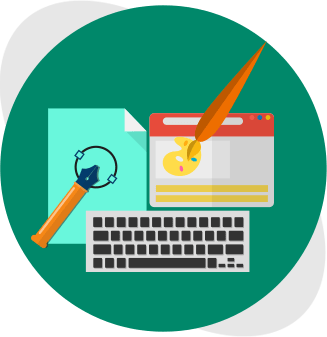 Your Suncoast Web Solutions team includes professionals in all areas of website development, from design and development, to content writing, and we work together to ensure consistency and results. It doesn’t matter how much money you invest in your new website, if you don’t choose a reliable web host, it can all be wasted. We’ve all seen the adverts for $1 or even free web hosting. Ask yourself how they can offer that deal. The answer is simple: just load as many websites as possible onto an open server and hope for the best! Suddenly your ‘free’ hosting service is costing you a fortune in downtime and lost business. You are also laying yourself and your business bare to all sorts of potential security risks and viruses. It’s just not worth it. At Suncoast Web Solutions, we don’t offer bargain basement hosting, but neither are we overpriced. For a fair price we offer a 99.9% Uptime Guarantee on Network, along with a full technical and backup service. Do you have a strong online marketing strategy in place? Is it getting you the results you desire? Are you happy with your SEO ranking? If the answer is ‘no’, you’re probably working with the wrong team! At Suncoast Web Solutions we live up to our name – finding SOLUTIONS that not only work, but offer real results, that can be measured and analysed. We see Internet Marketing and SEO Optimization as an investment, not a cost. We will not only optimize your new website content, we will help you keep it fresh and relevant at all times. We can even offer you a full SEO optimization service – through blogs and social media comment – if you don’t have the time or skills to do it yourself.